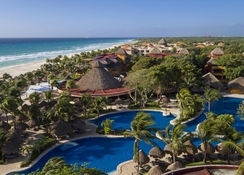 The Iberostar Quetzal is a 5-star all-inclusive hotel located on a lovely beachfront in Playa del Carmen on the Mayan Riviera. The hotel is an interesting meld of traditional architecture and influence with modern amenities and warm hospitality. 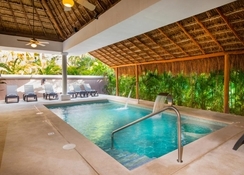 Offering immaculate luxury with a strategic location, this property is perfect for an ideal beach vacation or retreat for all members of the family. Guests can enjoy al-fresco dining and relax in thatched roof cabanas, in lush gardens in the company of flamingos, toucans and friendly monkeys. There are ancient ruins nearby to explore, great sites for diving, spectacular beaches to stroll on and shop at the busy Quinta Avenida. Or you can simply chill near a lagoon-like pool sipping on your favourite cocktail. Located in the Playacar Zona Hotelera district, Iberostar Quetzal is just a few minutes’ walk from the Playa del Carmen beach. There is a disabled-friendly beach 2.8km from the property. 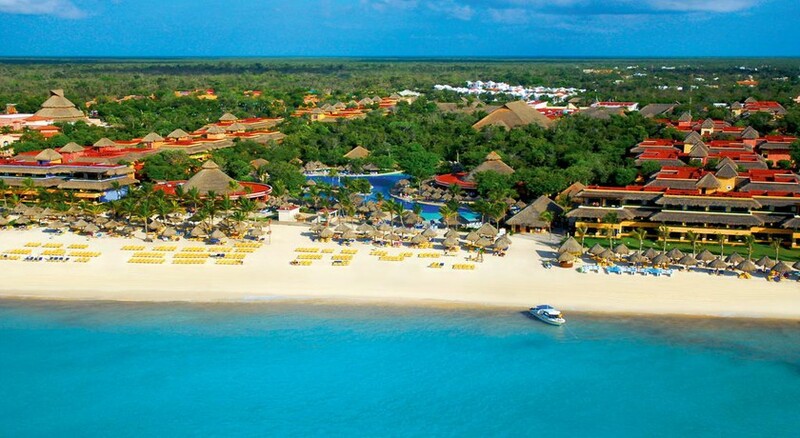 The hotel is about 2km from Playa del Carmen Maritime Terminal, while Kool Beach Club is about 4km away. The nearest airport is Cozumel International Airport at 37km. The Iberostar Quetzal’s architecture is influenced greatly by the Mayan culture, with traditional palm leaf roofs to stone statues from ancient ages. The 350 spacious rooms either have two double beds or one king bed, a private balcony with garden/jungle views, digital safe, flat-screen satellite TV, alarm clock, air conditioning and ceiling fan, minibar, coffee maker, iron & ironing board, en-suite bathrooms with vanity sink, shower and hair dryer. Buffet breakfast, lunch and dinner are available daily at the Cozumel-Buffet which offers delicious international fare. La Gondola by the Quetzal lobby serves the finest Italian cuisine a la carte style. 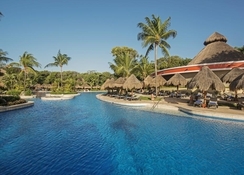 Uxmal is a poolside superb steakhouse serving sumptuous cuts of meat and sets up a beachside grill in evenings. 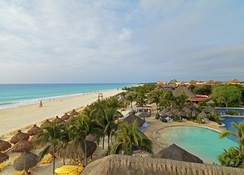 All-inclusive guests enjoy room service, all-inclusive food, snacks and late night snacks. 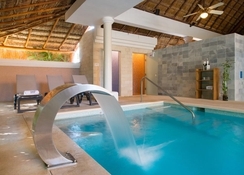 The Iberostar Quetzal hotel offers many activities for the recreation of its guests. There is a large outdoor pool with sparkling waters to relax and have splashtastic fun. There are facilities for a number of sports and a Kids Club for tiny tots. The hotel has a spa offering relaxing massages and treatments. There are live performances and entertainment shows in the evenings. There is scope for participating in sports like tennis, scuba diving (charges apply) and other exciting water-sports.